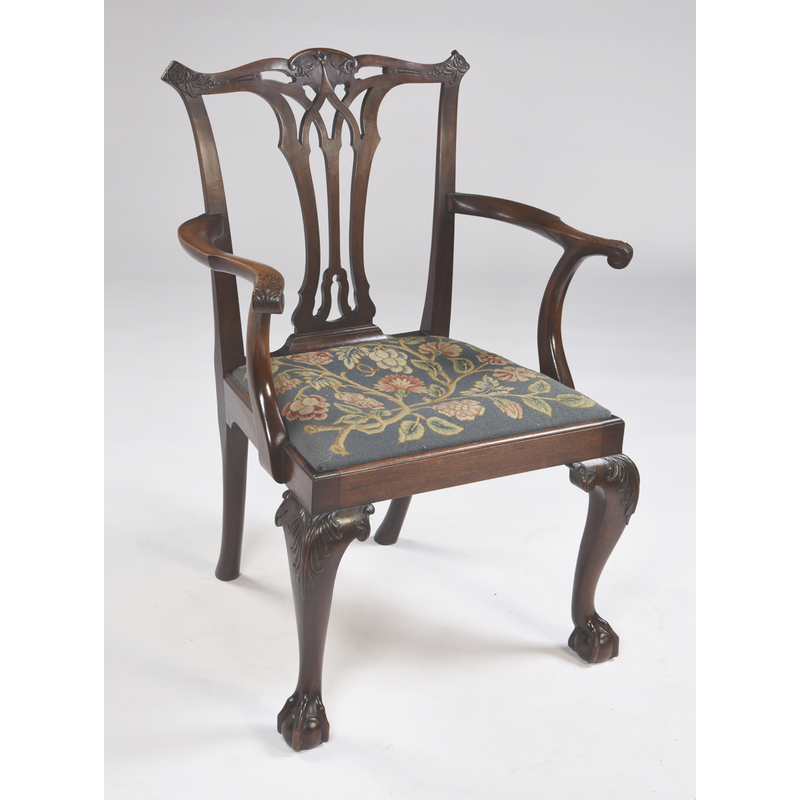 Antique English mahogany Chippendale revival armchair with a nicely interlaced splat back with a carved crest rail. 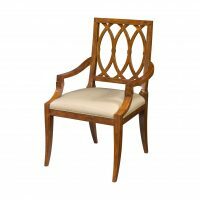 It stands on acanthus carved cabriole legs with claw and ball feet. 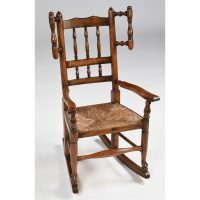 Old needlework seat in fine condition.